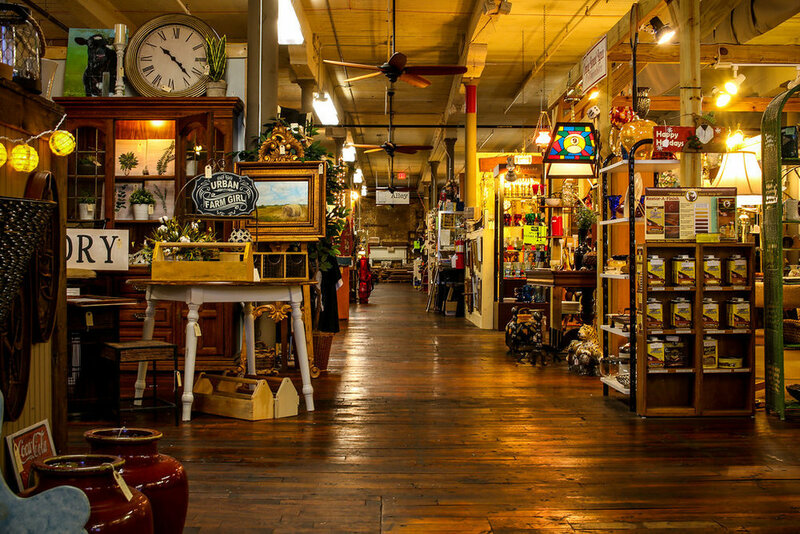 Vintage Revival Antiques serves as the anchor tenant for the Monroe Cotton Mills. Everyday we have new dealers moving in, new space taking shape and architectural items coming to the sales floor!!! We are looking forward to our dealers having continual success. Keep an eye on the blog for the latest news about dealers, Architectural Alley, and great new items available at Vintage Revival. Need an old window pane? An old claw foot tub? But you can’t ever seem to find what you want? Vintage Revival will be featuring over 5,000 square feet of our retail space dedicated EXCLUSIVELY to raw architectural antiques, including raw lumber, timbers, beam skins, barn wood, door slabs, window panes, and much more! Vintage Revival Antiques is a unique retail store focused on the sale and consignment of vintage, eclectic, repurposed and antique goods of all shapes and sizes. Check out the latest deals and specials from our dealers.